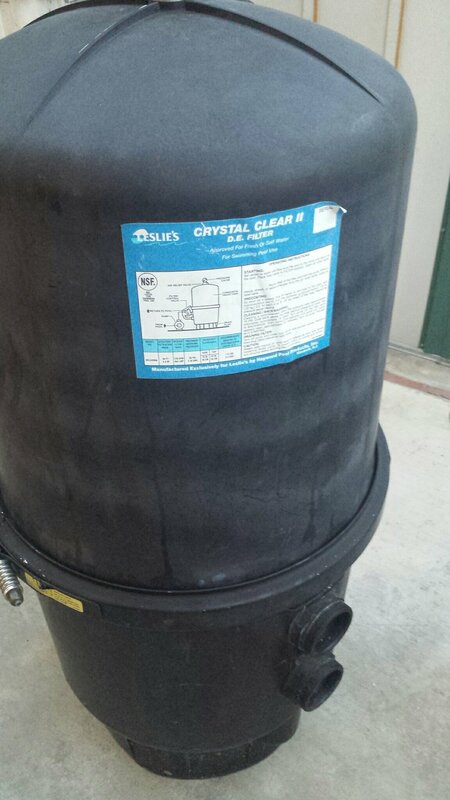 I got a call from a customer in Huntington Beach whose black Leslie’s DE pool filter had cracked on the top and was leaking. Fortunately, since this filter was manufactured by Hayward for Leslie’s many years ago, the plumbing connections are the same as Hayward Pool Products current Progrid DE pool filter, so it was simply a matter of draining the old Leslie’s filter and unscrewing it from the Hayward SP740de backwash valve, removing it and screwing the new Hayward Pro grid DE filter on. 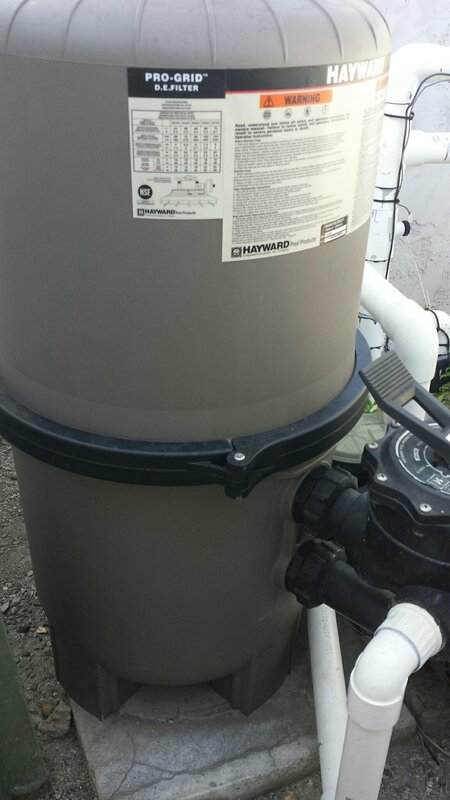 This entry was posted in Hayward, Service and Repair on May 13, 2016 by Miller Pool Service.